He was sent to Coventry, but now he's back home. And former Ireland youth cap Darragh Leahy is determined to make the most of his second chance in the game as he aims to prove himself with Bohemians, one of a batch of returned emigrants hoping to make a splash back home. The transfer market in the League of Ireland off season has seen some veterans switch clubs like Greg Bolger, Peter Cherrie, Gavin Peers and Simon Madden. There was also an exodus of talent, mainly to the UK with players like David McMillan (St Johnstone), Patrick McEleney (Oldham), Warren O'Hora (Brighton), Fuad Sule (Barnet), Chiedozie Ogeben (Brentford) and Barry Cotter (Ipswich) leaving. We also saw some players return home from spells in the UK, some on loan, youngsters like Dan McKenna (Wolves, now Bray), Dylan Watts (Leicester, now Bohs), Ronan Coughlan (Huddersfield, now Bray), Ronan Hale (Birmingham, now Derry) and Danny Kane (Huddersfield, now Cork). Eoghan Stokes (ex-Leeds) and Dan Cleary (ex-Birmingham) are also expected to move. Until now, the only exposure which St Kevin's Boys product and former Coventry City player Darragh Leahy had to League of Ireland football was from his days as a supporter. "I am from Swords so I was a Shels fan growing up, maybe I shouldn't say that now I am at Bohs," he jokes. "I'd go to lots of the Shels games with my family. I really remember the European matches, some great games at Tolka, but I am a Bohs man now." 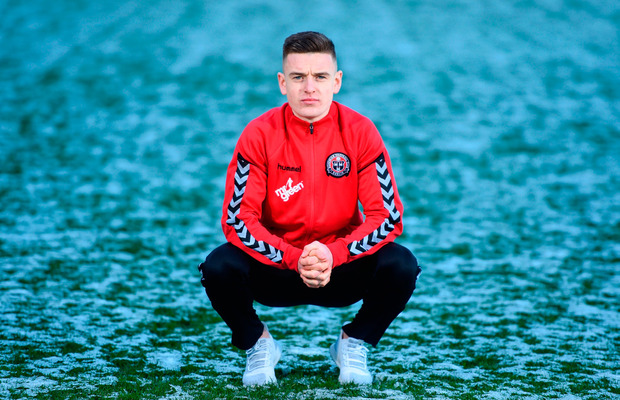 Leahy (19) still had six months left on his contract with Coventry when he opted to call it quits and come home, joining Bohs for the 2018 season. "The idea is that this is my second chance, maybe if I do well I will get back across the water, but for the time being I am happy here at Bohs," he says. Leahy caught the eye of Coventry when he was on a tour there with a successful St Kevin's Boys side ("we had one great season with Kevin's, we won the treble"). But progress in the midlands was blocked and even loan spells at non-league teams didn't spark joy. "I'm not really sure why it didn't happen for me at Coventry. I had a few players in my position ahead of me and maybe I was too young, but I'm back here now, I can't wait to get going with Bohs," he says. "I had six months left on my contract with Coventry but I just cancelled it, I felt it was the best move. I wasn't really playing over there, I was with the U23s, but I think I'd gone a month without a game and that was no use. "I have no regrets. I enjoyed it over in England, (but) the last few months weren't enjoyable, you have ups and downs, and my aim now is to get into the Bohs side. We are the underdogs this season and that suits us, I'd like us to be pushing for things and I can't wait to get going against Rovers on Friday."